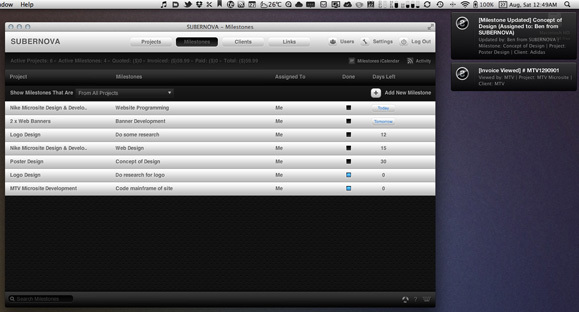 SUBERNOVA displays a dock badge count of all projects that are due today and tomorrow, as well as milestones that are due today and tomorrow, depending on which section you are currently viewing. 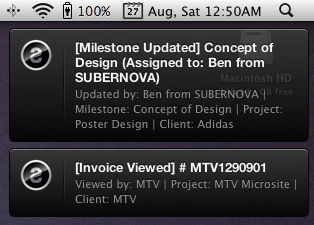 Receive growl notifications the moment an event is triggered. For example, your client views your invoice, reads your email, your quote is approved, members of your team add a new project, completes a milestone, starts a timer etc. 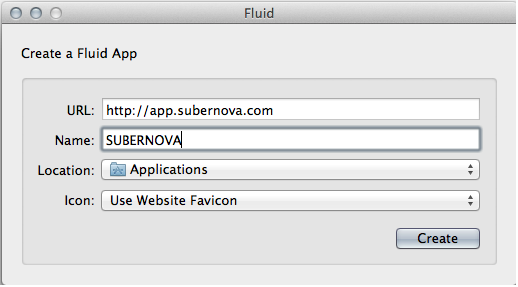 Just enter SUBERNOVA’s login URL, name and leave the default Use Website Favicon for Icon. The app will pull the high resolution icon image from our server.